Just received my board and attempted to power it on. The tab for the power switch on the dock snapped off and flew off across the room and I now have no way of powering it on. Would it be possible to get a replacement? Hi @Brett-Shipes I'm also really sorry about the broken switch. 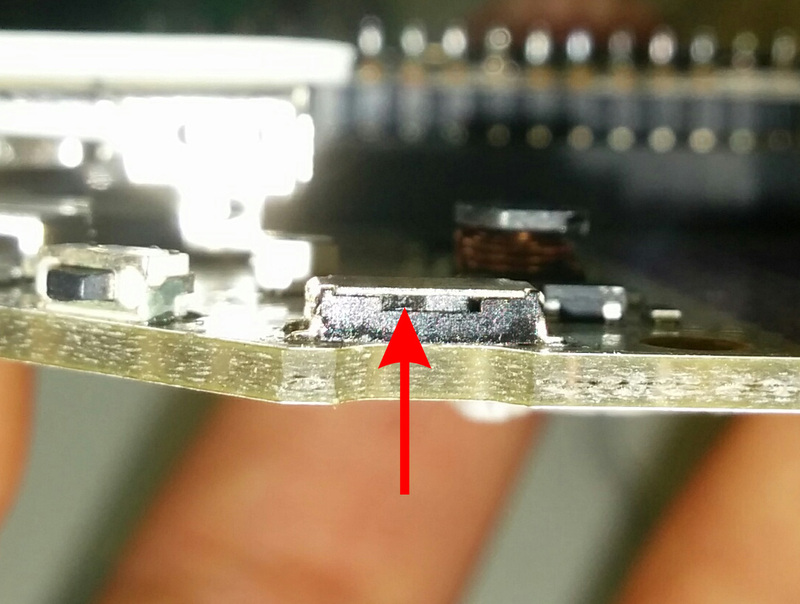 We have looked into the issue and it seems that the part we used for the switch is very poorly made. Although there's very little we can do with the current version of the docks, we have already found a replacement component to use for the next revision of the docks. In the mean time, the best way seems to be turning the switch using a needle. Would you be able to try that and see if you are able to maneuver the switch to the ON position? Hi @Andrea-Delle-Chiaie, I am really sorry about the poor quality of the switch! We actually did test the switches when were were building the prototypes for the Omega. Unfortunately, the supplier for the switches was very dishonest. The samples they gave us were high quality, so the samples we built didn't have any issue, but they gave us switches made with recycled material with the actual production orders. After this incident we have cancelled our engagement with the previous supplier, and we will be working with another supplier with a much better reputation in Shenzhen. We will also make sure that each switch be tested after the manufacturing process to ensure something like this won't happen again. Once again I'm really sorry about our oversight for resulting in this poor experience. Oh no...sounds like we are going to be the victims of early release of this product. Funny thing just got mine in early December of 2015 and would think the new switches would have been in place. Hey are you all knowingly getting rid of the bad expansion docks. Was really getting into working with my Omega but now with the switch busted can't get it to turn on. If I do get it turned on what will disconnecting with power on do to the unit will wait to hear from you before trying. @Rudy-Trujillo You can turn the Omega off just by unplugging. That's what the power switch does anyways, just to cut the power. All expansion docks that are shipped starting in January will have high quality switches. Sorry about that! Did exactly what was suggested. In my case the needle from blood test kit worked fine. Having gotten a confirmation that unplugging it from power will do it no damage I am back on the road. In the mean time, the best way seems to be turning the switch using a needle. Would you be able to try that and see if you are able to maneuver the switch to the ON position? I certainly tried to do this with no luck, and any more messing with it would likely cause more damage. Per your exchange policies I would need to pay to ship this back to China which would cost more than buying a new one after never getting it to work in the first place. As of now, I wouldn't so much call this a poor experience as much as a waste of time and $30.